← Name That Cat Winners Announced! My person has been complaining lately about a thing called “winter.” It sounded like it might be good to eat, so I searched all over for it—the kitchen, the pantry, and even the compost heap outside, which was covered up in snow. But I couldn’t find winter anywhere. I got so mad, mad, mad that I ran around the house until I found my brother. Then I bit his ears. Biting Zeph’s ears always calms me down. Zeph was no fun, as usual, and told me to stop. Like that was going to happen! But then I remembered that Zeph knows just about every word in the world, so I told him I’d stop biting his ears if he told me what “winter” was. He answered right away. He said winter was the cold and snow and white skies and swirling sleet. I growled a little. But I’d heard enough. “Where are you hiding winter?” I growled. “I’m not hiding it, Sapphie, I—” But as he spoke, he glanced outside. He’s not a very good liar, and I knew he’d hidden winter in the yard. I’d have to go out and look for it, I decided as I bit his ear again. Only… finding winter might have to wait a while. 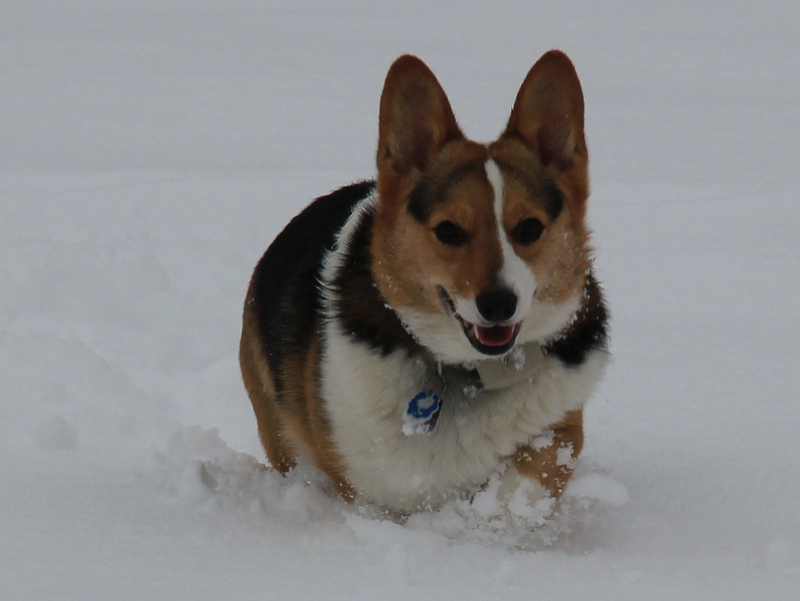 Digging is hard to do when there’s so much snow on the ground! 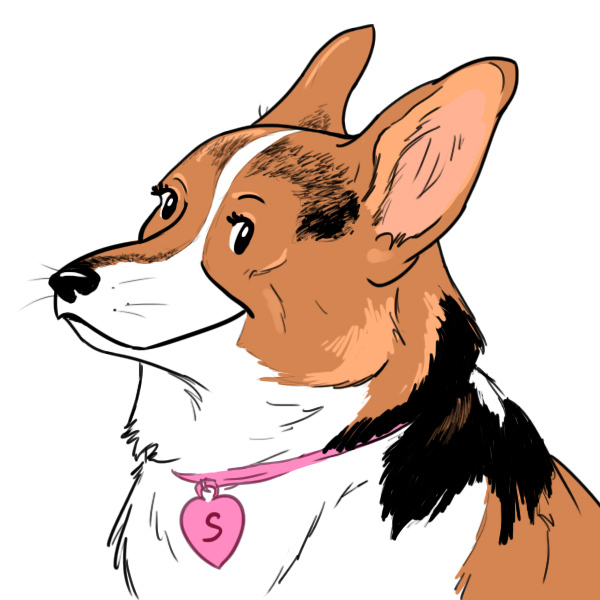 Posted on January 16, 2014, in character, corgi, corgi capers, holiday, puppy and tagged corgi, corgi capers, kidlit, mystery, puppy, sapphie, winter. Bookmark the permalink. Leave a comment.